Begin the month of April by trying something new. Eat chicken wings prepared by local vendors at the Slingin’ Wings Festival. Or watch improv performances during a carnival being thrown by Dad’s Garage Theatre. Here’s what to expect for events happening in Atlanta this week. When: April 5-7, Friday at 8 p.m., Saturday at 2 p.m. and 8 p.m., Sunday at 1 p.m. When: April 6- 7, Saturday from 10 a.m. to 5 p.m., Sunday 11 a.m. to 5 p.m.
More than 125 artists from Atlanta and nearby will be setting up their booths at this event. Food trucks and a children’s area will be on the festival grounds. When: April 6, noon to 7 p.m.
Attendees will be able to pair their chicken wings with brews at this event. General admission tickets include four wing vouchers, entry into the festival grounds and a People’s Choice voters ballot. Wing Lover’s ticket holders will get 15 wing vouchers and a tumbler. When: April 6, 1 to 6 p.m. This yearly fundraiser by Dad’s Garage Theatre will be a carnival that stationed in the non-profit’s parking lot. Improvisers will be going around the festival to booths, such as the “Flip Cup Tournament.” The Merrymaker ticket will get admission and access to the petting zoo and booths. The Ringmaster ticket grants unlimited amounts of beer and carnival rides along with the Merrymaker ticket perks. 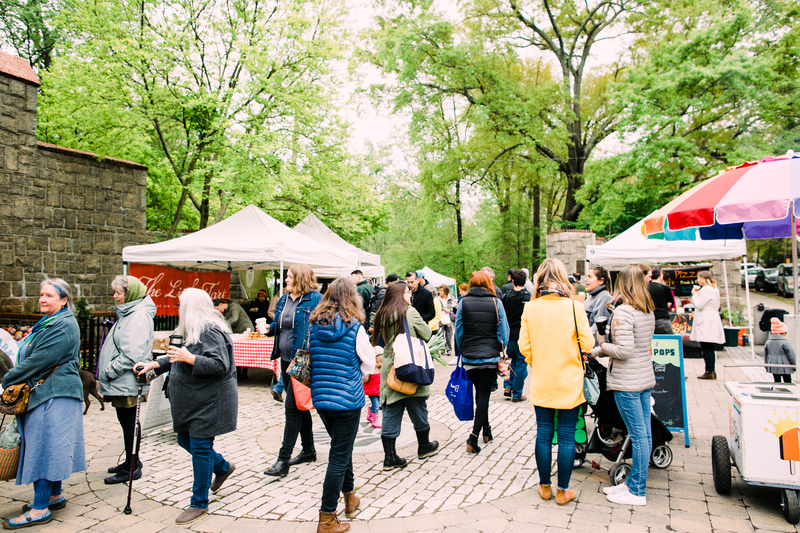 When: April 7, 9 a.m. to 1 p.m.
On the opening day of the Grant Park Farmers Market, new and returning merchants will be selling their fresh produce, meats, bread and more.